Originally from Lac-Saint-Jean, Québec, Sophie Lavoie was first introduced to the world of music when learning classical piano as a child. Soon, she became interested in the traditional music of Québec and began her ongoing trad apprenticeship by listening to legendary fiddlers from her own region of the province, such as the renowned Louis Pitou Boudreault, arguably one of Québec’s greatest and most prolific players and composers. In 2004, she completed studies in classical music with a Bachelors degree in piano in the University of Montréal. With two other musicians, she created the band “L’attisée” and began developing a succesful career as a player of traditional Québécois music. From 2005 to 2008, Sophie performed with L’Attisée all over Québec as well as in Ireland, recording the eponymous album which was nominated in 2011 as Album Traditional of The Year at ADISQ (Québec “Grammys”). In 2008, she began playing with piper Fiachra O’Regan as the duo Sophie & Fiachra. The duo recorded three albums : Sophie & Fiachra (2010), Rewind (2014) and Un Canadien errant (2016). Sophie regularly plays and performs with veteren musicians André Marchand and Claude Méthé (fiddle) and is already introducing her own young children to their powerful musical heritage. 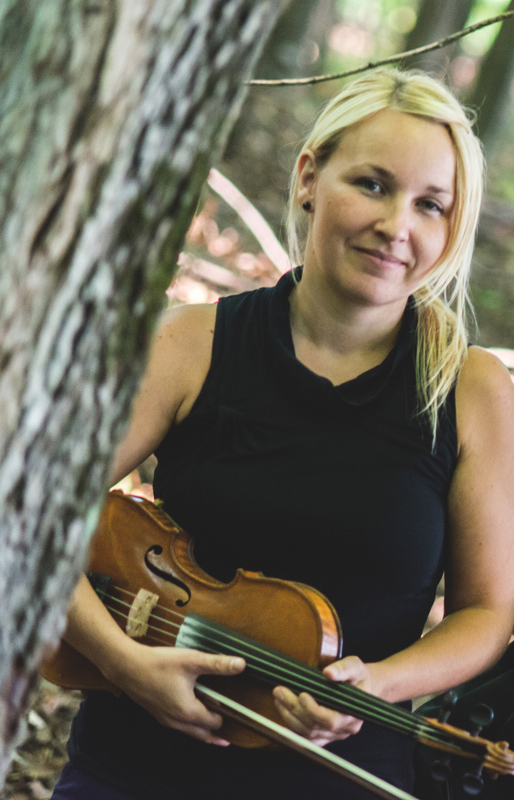 Sophie is currently researching fiddle styles of her native region Saguenay-Lac-Saint-Jean for a project funded by the Québec Arts Council, as well as composing traditionally-rooted music and songs as part of a project funded by the Canada Council for the Arts. A true “bon vivant”, her positive energy and brilliant style bring out the best in all who play with her. Australia Australian Celtic Festival, Fairbridge Festival, National folk Festival, National Celtic Festival, St-Alban Folk Festival Belgium Festival Les Anthinoises, Festival Folk Musiques et traditions, Acoustic Picnis Festival Canada Milrace Folk Festival, Celtic Fest Vancouver, Festival de violon traditionnel de Sutton, Les Fêtes de la Nouvelle-France, Festival Mémoire et racines, FTMS, Festival Ès Trad, La Grande Virée, Festival les grandes veillées de La Baie India Springfest, Alchiringa Festival Ireland Sea Week Festival, Clifden Arts Week, Bog Week Festival, Clifden Trad Fest, Roudnstone Summer Fest Israel Jacob’s Ladder Festival UK Gower folk Festival, Folk on the Lawn, Llangollen International Festival Spain Festival Interceltico de Avilés, Festival Interceltico d’Occidente Italy Ireland in Festa New Zealand Ceaol Aneas Irish Music Festival.